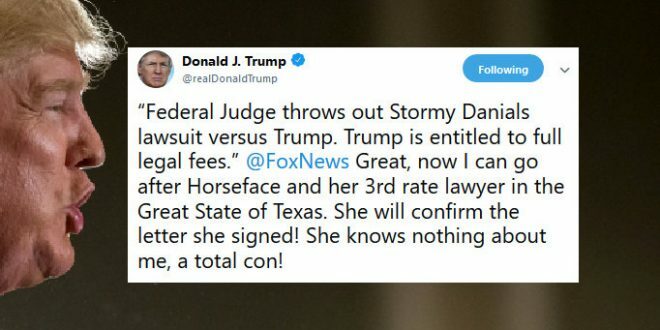 Trump Ridicules "Horseface" Stormy Daniels - Joe.My.God. Remember Trump’s attack on Carly Fiorina back in 2015? WASHINGTON — Facing a historic gender gap in the upcoming midterm elections, the president called a woman "Horseface."